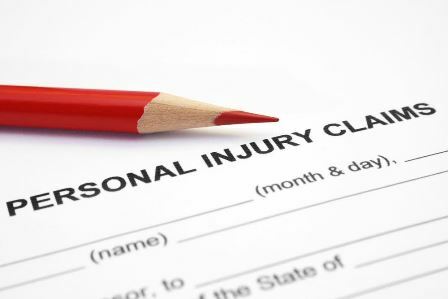 Steps of Building a Personal Injury Case in Florida | DeLoach, Hofstra & Cavonis, P.A. After a serious injury, it makes sense to get as much information as possible before you file a claim for compensation. The timeline of a Florida personal injury case can help you understand what happens after your claim is filed, what will happen in court, and how long it will take before you get payment for your injuries. But what happens before your case is filed in the days or weeks after you first suffer the injury? How can you know whether you qualify for compensation, and what must be done before you can make you claim? There are a number of things that must be done in order to build a strong case for compensation. When you work with us, we take on the burden of your case by handling all confusing and frustrating aspects of your claim, making the compensation process as efficient and painless as possible. Examination of medical treatment. The first thing that must be done in your case is to gather as much information as possible about your injury. One of our paralegals will send out letters of representation to your insurers and care providers to let them know members of our firm are your representatives and can request information on your behalf. The letter to your insurance company may also request specific information on your coverage, including limits and premiums. The letters to your doctors may be used to request copies of diagnostic reports, updated billing information, and other medical documentation pertinent to your case. The paralegal will also monitor your maximum medical improvement,the point where your doctor doesn't believe your injuries will get better, even with continued treatment. In addition, we obtain a copy of the crash report and any other records that can help our attorneys get the full picture of your injuries. Preparing an insurance demand. The next step is to request your insurance provider pay an appropriate amount to compensate you for injuries. Once you've finished treatment by a doctor and the full extent of your injuries are known, your case can enter the demand stage. Your paralegal prepares a demand letter that combines your medical report with your outstanding bills and past out-of-pocket payments related to your injury. Then, he or she reviews the demand with your attorney before sending it to the insurance company, which has 30 days to respond with an offer. Your attorney meets with you when the offer arrives and advises you on whether the amount is fair. If not, he may enter into negotiations with the insurance company with a series of counteroffers, during which you can accept a settlement you think is just. Finalizing the suit. If you don't accept any settlement offer, your case will move on to the lawsuit phase. Your attorney then discusses the merits of the case with you to determine if it makes sense to move forward. If it's agreed this is the best course of action, your case will be filed. Serving the defendant. Once a lawsuit has been filed, your paralegal prepares a complaint and discovery, which will be served on the defendant. After the defendant responds, your paralegal sends you a set of questions, called interrogatories, which the defense will likely ask you to answer as part of its discovery. If an agreement still isn't reached, your case proceeds to trial. Our attorneys stay with you from the earliest stages of your case all the way through to the date of your settlement. If you've suffered a traumatic accident, our attorneys can help you take action against a negligent party and maximize the value of your claim. Fill out the form on this page today to make an appointment for an evaluation of your case.